Starter Kit (includes one holder & one after filter) provides an additional 3 layers of filtration and filters 99% of all particles 1 micron and larger. They should be changed after using 6 bags. Affix the filter housing to the vacuum with adhesive strip. 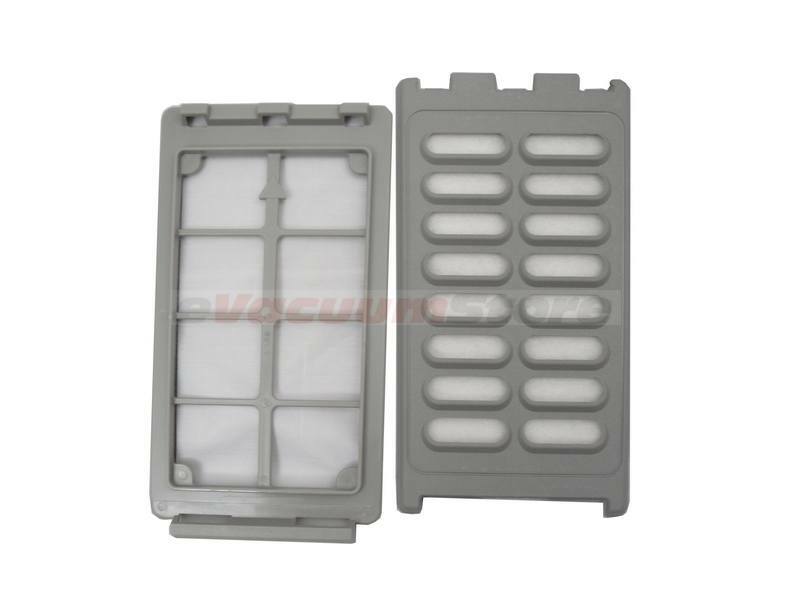 This is a special ordered item, we currently have the Electrolux Upright 2 Pack Replacement Filters available. Answer:Yes, this will fit your genesis upright vacuum. Answer:This filter will fit the Electrolux Guardian upright. The housing will seal on with the sticker side of the filter and then you insert the filter. 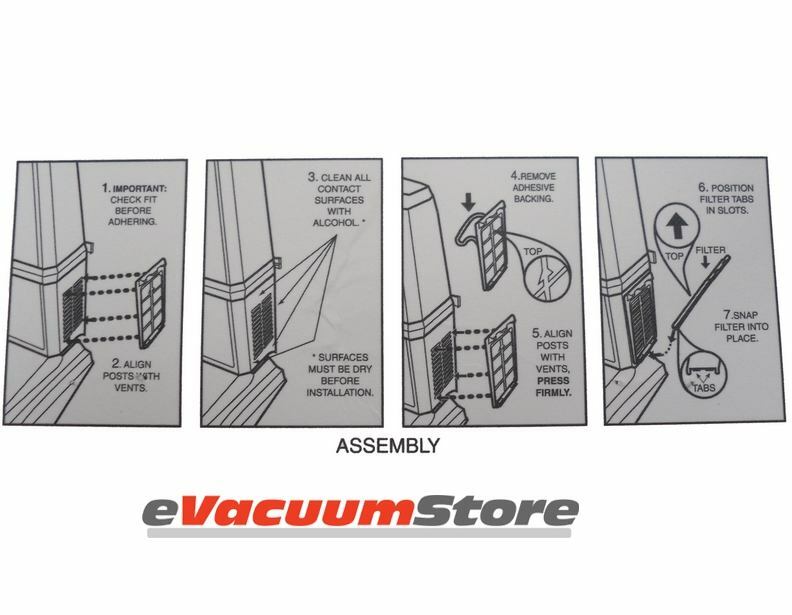 The housing will stay on the vacuum and then you can buy replacement filters. This is a thinner filter but you will not have the problem with the filter falling off.